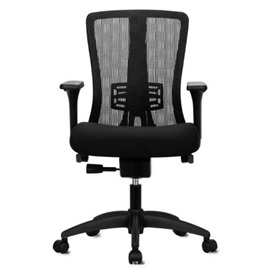 The Eutotech Lume/MF 2500 office chair pictured below that authorized Eurotech Seating line independent distributors sold in very limited numbers between January 9, 2015 and November 18, 2015 is being recalled because screws that were used to attach the seat mechanism to the bottom of the seat may not have been sufficiently tightened or properly installed by the manufacturer. As a result, there is a potential risk that the seat might detach from the chair causing the user to fall and be injured. While Raynor is not aware of any such incidents, if you purchased a Lume office chair from an authorized Eurotech Seating line distributor between January 9, 2015 and November 18, 2015, you should immediately stop using it and contact Raynor directly at 1-866-800-1377 from 9:00 a.m. to 5:00 p.m. ET Monday through Friday to speak to a representative to provide information concerning your Lume chair purchase and to arrange to return it for a full refund. Alternatively, please email recall@lumechair.com with your name and telephone number so that you can be contacted to arrange for the return of your Lume chair and for a full refund. Only chairs with Item number MF2500 found on a printed label located on underside of the seat are involved in this recall.